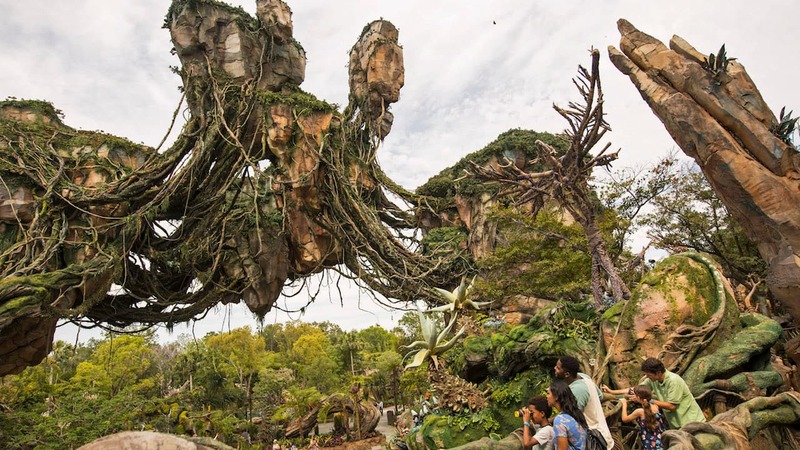 On the eve of Wednesday’s special dedication ceremony for Pandora – The World of Avatar, Actress Zoe Saldana dropped by Disney’s Animal Kingdom to help celebrate the new land. 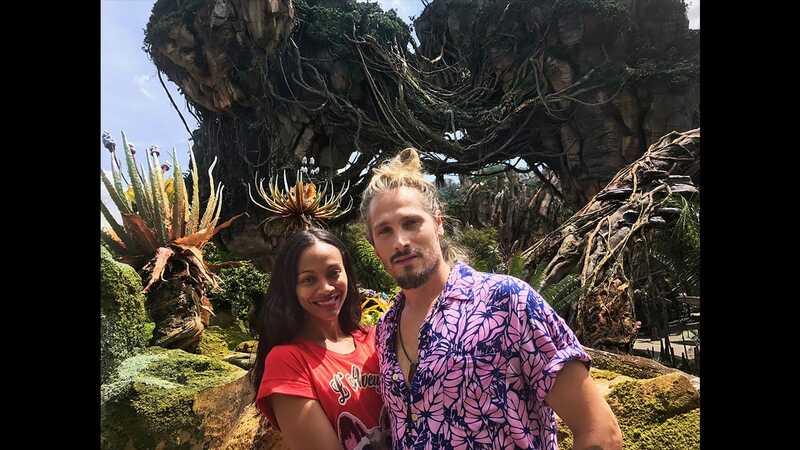 Saldana, who played the Na’vi character Neytiri in James Cameron’s Avatar film, and her husband, Marco Perego, were photographed at the magnificent floating mountains of Pandora before exploring the rest of the world. Pandora – The World of Avatar opens to the public on May 27.